Jasper is an opaque quartz, usually red, yellow, brown, green, white, or a mixture of these colors. Quartz is composed primarily of silica. Jasper was very useful to primitive man and to the American Indians because it could be chipped and fractured in any direction, making it perfect material to shape tools and weapon points. 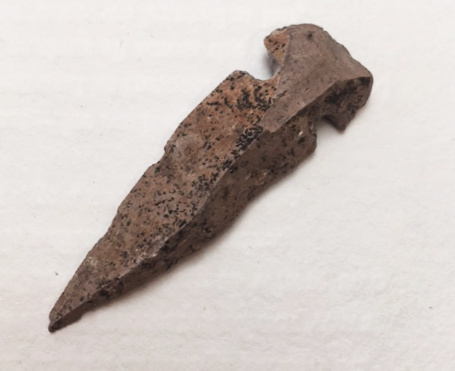 When arrowheads were made, jasper was the favorite material to use in regions where deposits existed.